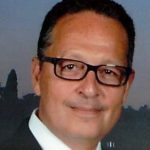 Mr. Capaldo brings to the VR team diversified experience in business development strategies (Product, Sales, and Distribution) for consumer products and banking services in North and Latin America. His expertise is in developing and implementing strategic as well as tactical plans to maximize productivity and profitability of cross-cultural, proprietary, third party sales forces and distribution networks. Versed in both English and Spanish, Mario’s proven ability to manage and motivate people in order to achieve and exceed established goals helps drive the success of all his engagements. Prior to joining VR, Mr. Capaldo developed and executed marketing and sales plans for a $250M liquor distribution business, Distribuidora Benedetti. Soon afterward, he procured $400M in annual gross margin for a chain of 147 supermarkets, while managing a multi-national purchasing department of 22 employees for CADA Supermarkets. Mario also worked for the Consumer Business Division of Citibank Latin America where he was responsible for an annual revenue budget of $105M.